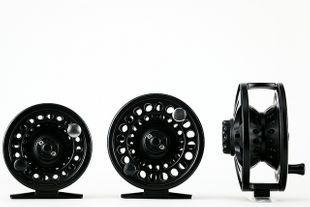 Echo SOLO and ION fly reels are not fancy, but they are very dependable and offer fantastic value plus performance. With the Echo Solo at the beginner level, to the ION series with six different size options and a decent drag system, our Caddis Fly Staff fish ION reels all year long. 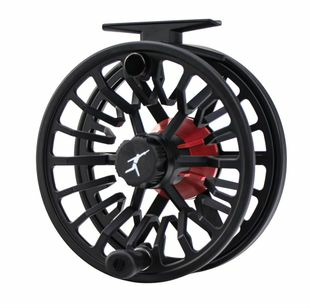 Drag systems: The ION reels are equipped with Rulon drags and we have found them very reliable. 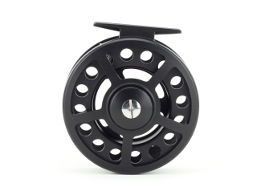 Echo Solo and ION fly reels offer reliability, performance, and represent a very affordable price; all are very good fly reels and an excellent value. Fly Line Capacity? 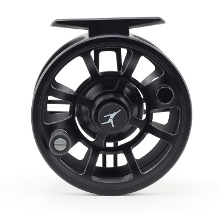 ECHO fly reels are sized right to fish lines from as light as #2/3 to as heavy as #11/12. Fresh versus Saltwater design? ECHO solo and ION fly reels are freshwater reels, but our staff have fished the ION extensively in Saltwater and find this use well within performance expectations. Remember to flush and dry them because they deserve the respect. Availability: The Caddis Fly Shop inventories all of the ECHO fly reels, so we can offer very fast delivery. 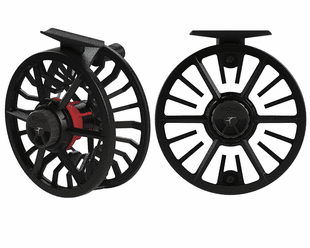 Here is a summary of ECHO Fly Reel Models. each will serve you well. Echo SOLO: This is an extremely attractive way to get started fly fishing for small and modest sized trout and warm water species. 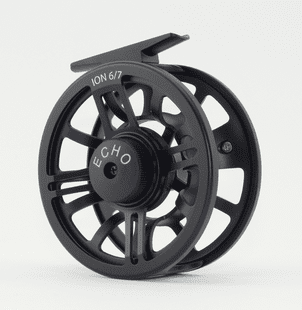 Echo ION: from the 2/3 ION to the 10/12, one of these reels will work for you, whether you fish for bluegill or Spey fish for steelhead or King Salmon.